The 2017 Tidewater 320 CC Adventure is the biggest boat this builder has to offer. 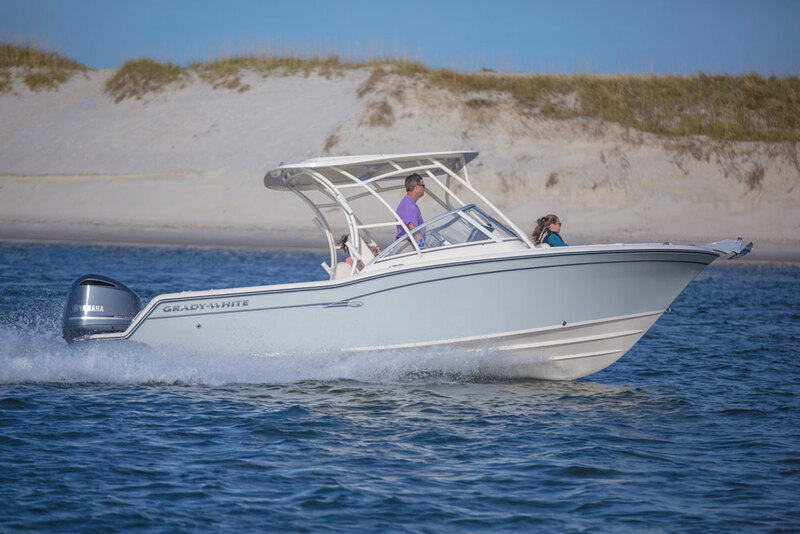 Joining the ever-growing, big-boy center console market in the United States is the Tidewater 320 CC Adventure. 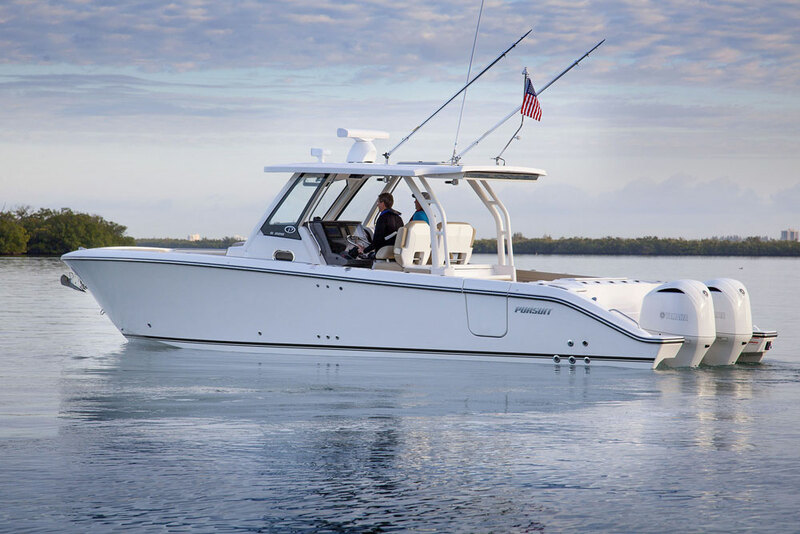 Built just outside of Columbia, SC, this beefy center console was launched at this year’s Miami International Boat Show in February and is now the largest boat in the builder’s extensive lineup. Tidewater invited us onboard for a thorough inspection and sea trial on Biscayne Bay; here’s what we found. 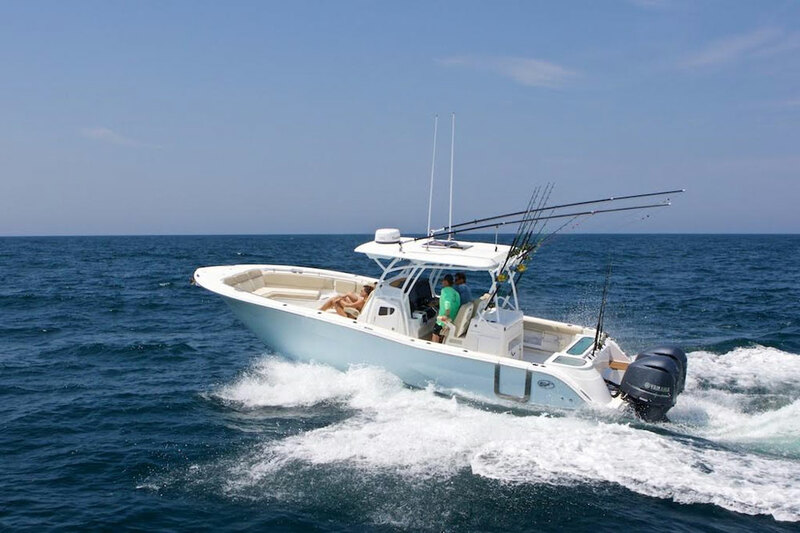 There’s no doubt on first glance that this boat’s got Carolina sportfishing blood coursing through its veins. 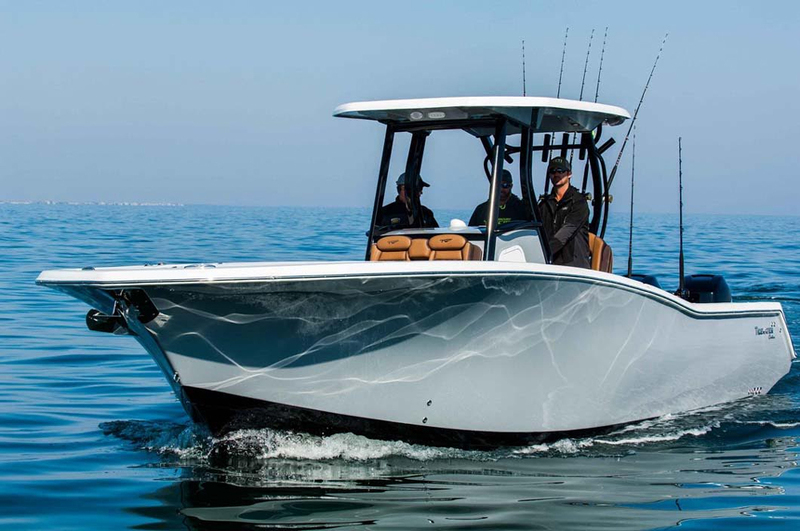 The 320 CC has a wide bow, lots of flare, and a steep entry that’s reminiscent of the sportfishing fleet running through North Carolina’s rugged inlets. The 320 CC is beamy, too, and that’s a good thing. Inside we found lots of room for moving around, working tackle, and playing fish. This boat’s uber-comfortable, as well. Scattered around the deck is some of the most comfortable and well-constructed seating we’ve ever relaxed on. 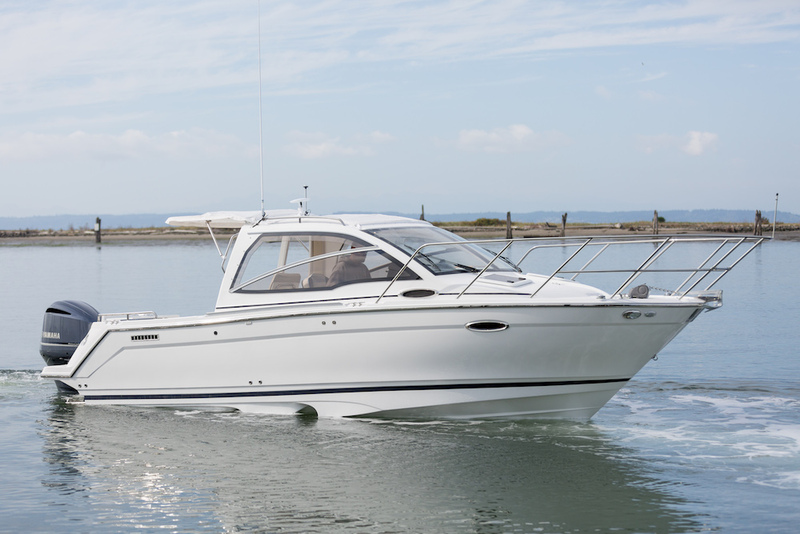 Forward in the bow is where the majority of the relaxation space resides, on the Tidewater 320 CC. The huge U-shaped bow lounge can be used as a casual relaxation area, setup with two forward-facing chaise lounges, or converted into a dinette with an electrically powered table that rises out of the deck. Alternatively, you can covert the whole area into a casting deck by simply removing and stowing the cushions and lowering the table a bit. We also found a large chaise lounge ahead of the center console unit, with an insulated cooler space beneath it that’s easily accessible with the help of gas-assist struts. You can hang out and chill in the aft cockpit, too, thanks to a wide, fold-out bench at the transom. But the aft cockpit is where the fishing action takes place on the 320 CC. Look no further than the well-equipped rigging station with ultra-deep sink, 30-gallon live well, and oodles of tackle stowage. We also found two huge fish lockers abreast the center console with tons of room for even the biggest fish, which you can pull aboard through the starboard diver door. All around the deck, up on the hard top, and tucked under the gunwales we found 33 places to stow a rod—enough rigs for even highly-addicted anglers. For long runs out to the canyons or long-duration days on the water there’s a comfortable head compartment inside console, as well as a small berth and sink. Biscayne Bay served up its worst during our sea trial, a south wind having stirred up an irritating two- to three-foot chop. That being said, we prefer these conditions for running a boat versus more docile sea states. 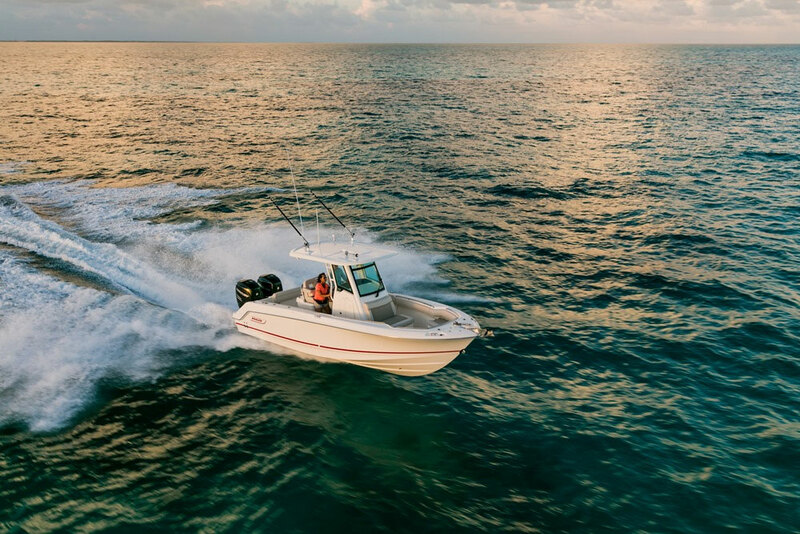 This first thing we noticed when we introduced a boatload of throttle to the twin Yamaha F350C four-stroke outboards was more bow rise than we’d like to have seen. Luckily, a healthy dose of trim tabs helped to significantly alleviate this issue. We blasted across Biscayne Bay and eventually reached a top speed of 59 MPH at 6050 RPM. When we peeled the throttle back a bit we found out that around 30 MPH is where most folks will want to cruise. The two Yamahas burn only about 21 gallons per hour at those speeds. Cruising out to the canyons? The 290-gallon fuel tank provides a range of about 415 miles at cruise. We continued to tear all up and down Biscayne Bay at a variety of speeds and found the Tidewater 320 CC Adventure to have a solid, capable, and very dry ride. The boat tends to chine-walk a bit in a beam sea, but proper engine and hull trim remedies this for the most part. Cornering performance was exceptional; the boat literally felt as if it was on rails when we turned the helm over hard. And while other boats we ran that day had doused us in spray, the Tidewater 320 CC kept us dry and comfy. Gobs of flare does a good job at knocking down spray, and the Tidewater is exceptionally dry-running boat. 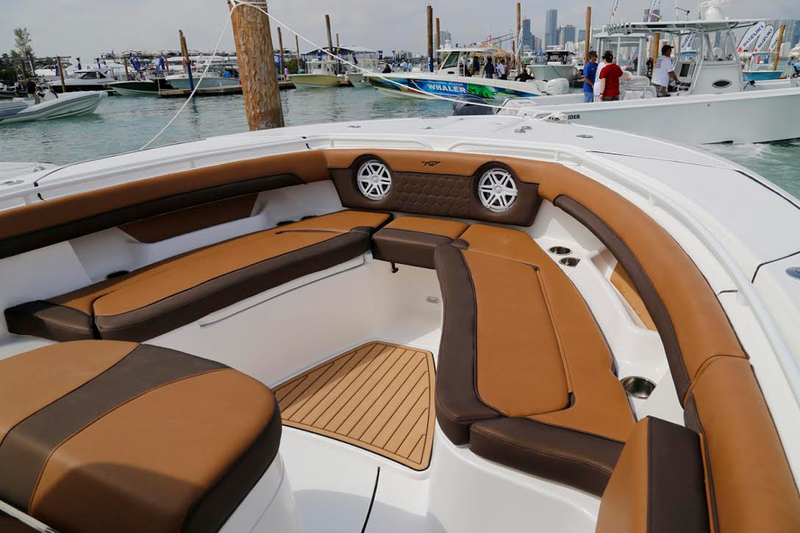 The 32-foot offshore center console space is a crowded one in today’s boating market. 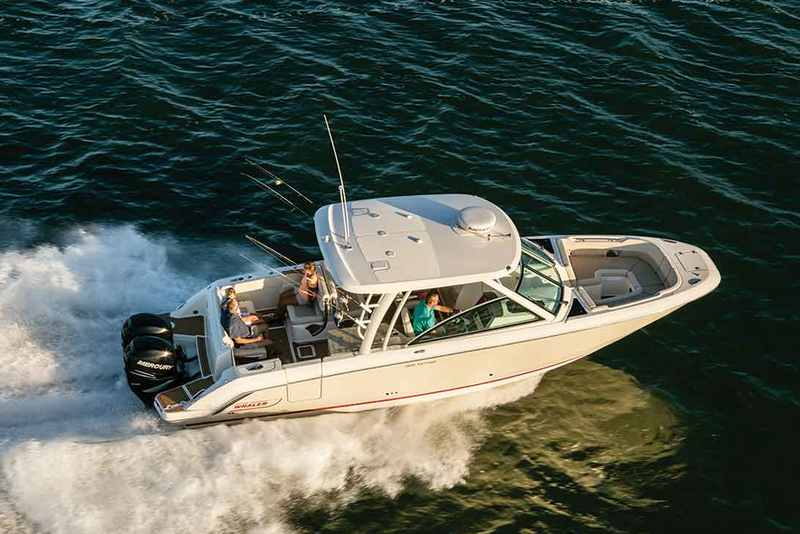 It begs the question as to why the Tidewater 320 CC Adventure should be on your list of boats to check out. Easy: it’s comfortable, fast, stable, and packed with lots of useful fishing features, making it well worth a look at your local dealer. 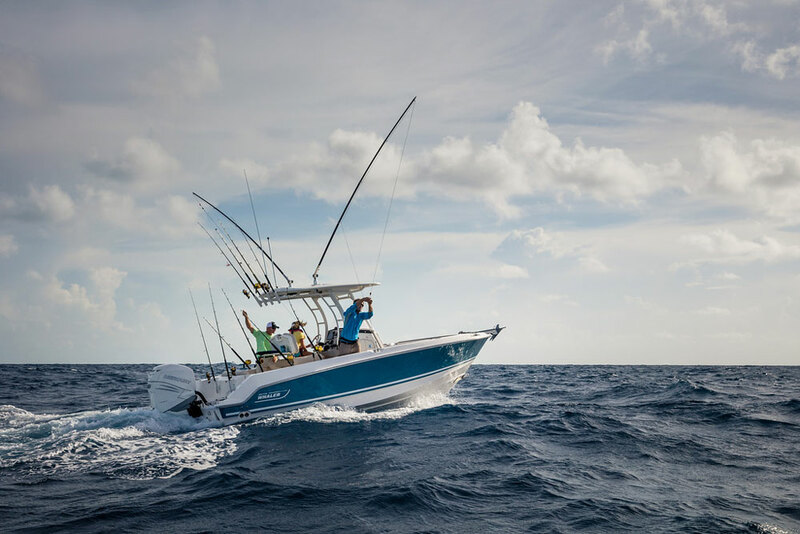 Other Choices: Folks on the hunt for luxurious center console boats with offshore angling in their pedigrees should also consider the Pursuit S 328 Sport, the Everglades 325cc, or the Boston Whaler 330 Outrage. 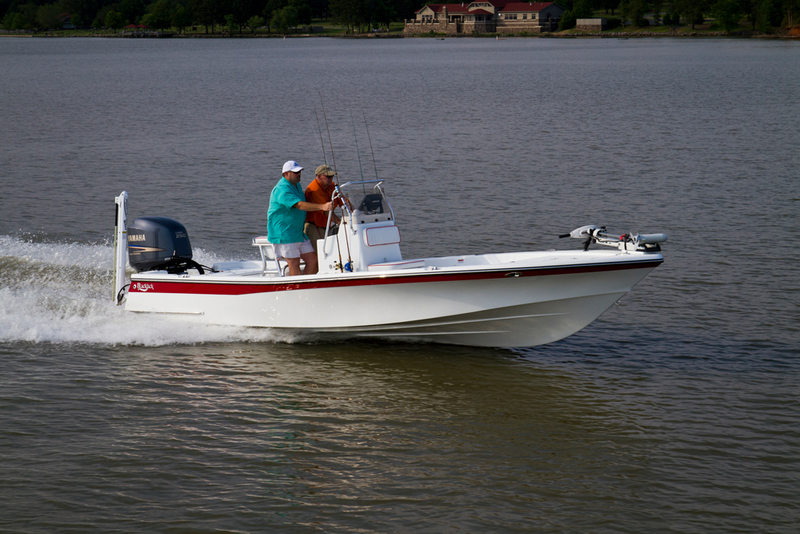 For more information, visit Tidewater Boats. See Tidewater 320 CC Adventure listings.